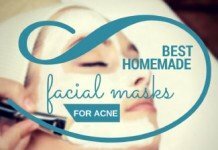 Home Treatments Light Therapy for Acne – Can this give you clearer skin? Anyone suffering from acne will know how painful it is. Acne sufferers frequently report aching pains from under their skin due to the inflammation caused by this condition. 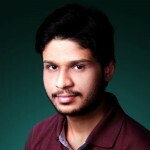 Others have even cited that the pain from acne often feels like thousands of little bugs bitting away at you under your skin. Acne can not only feel really painful under the skin, but sometimes the inflammation is so bad that your face can literally weep with open wounds. 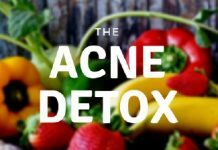 It may come as no surprise that people will literally try anything in order to stop or minimize their acne from breaking out. 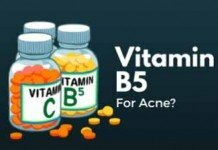 There are multiple different ways and products out there on the market these days suggesting to be the solution to your acne problems. But sometimes these solutions are costly and often take a long time to try against your skin. By the end of it many people can just feel disillusioned by the whole industry or just plain fed up after weeks, months and years of trying to remove their acne. Any sort of facial skin blemish can really affect us psychologically as well as physically as it causes both embarrassment and low self-esteem. Light therapy, however, is a treatment which helps treat damaged skin cells such as those with age spots, wrinkles, fine lines, and acne. This type of therapy claims to heal your acne using a certain wavelength of light. In this article we’re going to identify how this light therapy might be the cure many suffers from acne are looking for. Firstly, we’re going to examining the problem of acne so we can better see how light therapy may help. A staggering 50 million Americans suffer from acne every year, and in the US it is the most common skin condition reported. 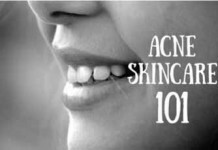 Most people who suffer from acne are between 12-24, but acne breakouts and the condition can happen to anyone, with people from 30 right up to 50 being treated for the condition. 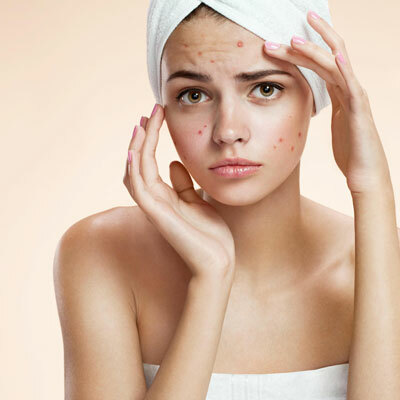 Acne happens when the tiny holes across your face called pores become blocked by any of the oil, bacteria, dead skin cells or dirt that your face regularly meets on a day to day basis. Once one of these pores are blocked, they develop in to a zit. The development of a zit or two is a completely healthy and normal thing to do. 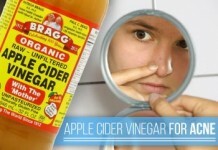 By creating a zit, your body is simply trying to get rid of any dirt entering your pores. Unfortunately, those with acne find that their face is constantly trying to push out dirt or is more prone to letting dirt into their pores. 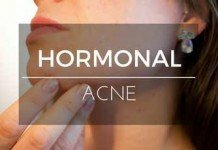 You’re more likely to get acne as a teenager as acne is frequently triggered by a shift in your hormones which enlarge your pores enabling them to catch more dirt. The larger your pores, the more opportunity dirt has to become trapped within your skin and cause a pimple. If you find you’re getting more zits than usual and can’t find any obvious reason why, it’s worth looking at your sleeping/washing routine. If you’re not changing your pillowcase or washcloth very often, you may find that you’re enabling bacteria to grow. If you use the same washcloth twice in one day, you’ll simply be putting the dirty bacteria back on to your face on a night time. Or if you’re not washing your pillowcase often enough you’ll be letting all the dirty oil from your face and hair manifest. Woman always seems to get the short straw when it comes to their bodies being affected by hormones. But when a woman is due on her period, she’ll find that there is a surge in hormones and her oil glands will grow this will produce a more likely time for zits to occur. In order to try and minimize the event of period hormones on your skin, it is best to switch to a salicylic acid cleanser to reduce the excess oil. 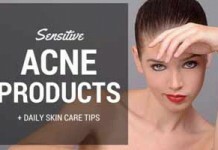 Diary and whey based products can, unfortunately, trigger acne. This is due to the high glycemic index found in such food products that only enable your glands to spread and welcome in the dirt. Instead, you should look for unrefined and processed foods such as steel-cut oats, veggies, proteins and antioxidants such as blueberries or cranberries. 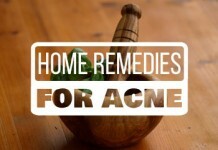 If you want to keep your chances of harboring acne at bay, you need to make sure your bedroom is a sanctuary. This means no cell phones before bed or in the bedroom (they’re also covered in germs), and some well-needed self-care before bed. Stress increases oil production in your skin, so you want to make sure that you clear your mind before sleeping in order to prevent excessive oil production. 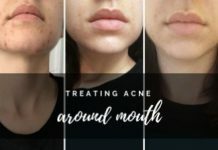 We’ve covered how you can get zits which can manifest it to acne, but we haven’t really mentioned what makes acne different and more painful than zits. Ance can occur anywhere, it doesn’t just occur on your face but due to the oily surface of your face, shoulders, neck, chest, and back they are a lot more likely to appear here. Acne comes in many forms such as whiteheads, blackheads, small raised bumps, solid, painful lumps beneath your skin and even larger cysts under your skin which contain pus. You need to be careful when dealing with any of the raised bumps, lumps and cysts as these do need medical attention and can cause scarring if not dealt with properly. You’ll notice the difference between an acne outbreak and a few zits as your face will be more painful and feel inflamed. If you think you’re suffering from these symptoms, you should seek medical advice immediately! When you see your doctor, they will be able to examine your acne professionally and suggest the necessary cause of action if needed. Not only can acne play havoc on your skin, but it can also really affect your mental health. There is a significant link between those with acne and those with depression. This link between mental health and acne is due to the emotional connection we have with our skin and appearance. Many psychologists have reported that many of their patients developed intense anxiety and depression as a result of acne. Some patients with acne often stop doing the things they love which doesn’t help their mental health. Acne sufferers slowly withdraw from their social and work priorities, and their self-esteem starts to dwindle because of this. Many experts argue that this link between acne, self-esteem, and depression is only getting worse due to the rise of social media and Instagram. Very often patients will get very sad finding that they can’t look like those they see on Instagram without any blemishes. Some doctors have even stated that the depression acne sufferers face is worse than just a bad a sad mood day, with many of their patients suffering from very serious clinical depression. This is when they start to turn to dermatologists to try and treat acne in order to reduce the stress, and emotional toll acne has. There are many ways people suggest you can minimize your acne at home through self-care. 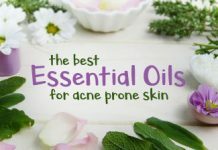 Of course, these methods may not help those with very severe acne, but these methods will also help you keep a well looked after skin routine. Do not wear tight hats. Do not pick your zits. 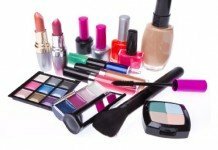 Use makeup that’s water-based as opposed to oil based. Shampoo your hair often and tie it away from your face. Clean the extra dirt and oil from your face with a mild soap. Many people who feel these self-care options do not work for them may be on acne medication. These medications work by killing bacteria or reducing oil production. 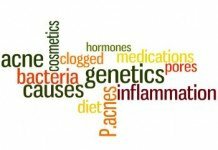 Unfortunately, many of the medications that are prescribed often come with side effects such as scarring or leave you prone to more infections throughout the body. Of course, if you would like to know more about medication relating to your acne you should always speak to your doctor. 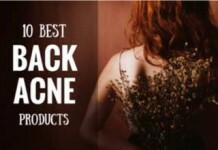 Due to the mental and physical pain caused by acne and the unfortunate side effects caused. 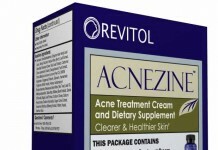 Many people with acne are looking for alternatives to help their skin condition. One of these alternatives to help reduce the impact of acne is light therapy. Light Therapy is sometimes known as phototherapy and is often used to treat stubborn acne that hasn’t improved by using any of the other treatments. Light therapy works by using a certain specter of light to kill the bacteria found on your skin which is the cause of acne. For instance, when acne forms in the tiny skin pores, it can be hard to remove the bacteria as it is already trapped inside your pores. Light therapy works by killing the bacteria inside. Using light instead of invasive products, creams or medication your skins produces substances which start to kill your bacteria as well as shrinking the oil glands and allowing your skin to close up. This means that you’ll have the appearance of clearer skin, as the light targets the bacteria and skin begins to push out the dirt and heal without any invasion. When did doctors start using light therapy? Using light for the benefit of our health is surprisingly not a modern thing, as far back as the Greeks, people have been known to expose themselves to light in order to have healthy skin. And in the 70s more research was started looking into using blue light. This blue light was used in a study in 1978 whereby 86% of the participants reported a reduction of acne after using it. Thus blue light therapy was created in order to help the most difficult of acne cases, by using blue light to generate more oxygen in the skin which helps attack bacteria found in acne. What type of light is used and is it safe? Doctors started to use blue light for acne therapy as they found it had the same wavelengths as ultraviolet light – UV light. The same light from the sun which the Greeks used to believe in the healthy power of. In the very early days of acne treatment, doctors had tried using UV light as it seemed to work well at reducing acne breakouts. However, because it was the same type of radiation as the one which comes from sunlight the use of this was pulled when doctors discovered UV light caused cancer. Instead, scientists found a way of using just the blue light instead of the full spectrum. HOW AMAZING. The UV rays of sunlight contain red, orange, yellow, green and blue the combination of these light rays makes white light or as we call it sunlight. Red and blue light is part of the visible light spectrums. Blue light can be found in sunlight, but it’s also in a ton of other household appliances. Your TV has a blue light, your phone uses blue light basically everything in your home from lighting to screen use blue light due to their dominant wavelength. Although scientists report that too much blue light from a computer screen can cause eye strain, it’s quite beneficial when used on your skin. Scientists found it was possible to shine a blue light on to our skin without the harmful side effects that often occur from UV light. Therefore the process of blue light therapy is completely natural and requires using no harsh products or chemicals. You can also often find blue light used to treat seasonal depression and other disorders, not just acne. Easy to use: The great thing about light therapy is that is isn’t invasive and can be used anywhere both at a clinic and at home. No recovery time: Because the treatment isn’t invasive you’ll be able to recover instantly with almost no side effects. The use of blue light therapy to a wide audience is still relatively new. However, the American Academy of Dermatology has reported that this kind of therapy does ‘show great promise in treating acne,’ and many other acne sufferers have already sworn by this treatment method. 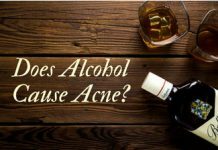 If you still don’t believe what you’re reading there have been a few studies on the treatment to help determine whether or not it’s a viable option for those suffering from acne. In 2008 28 adults went to 8 sessions of light therapy, and after a month 65% reported to experience a vast improvement. 10 people with acne on their backs in Japan underwent 1 to 2 sessions a week, and all reported a reduction in acne with no harmful side effects. Overall, most people in all of these studies indicated that thanks to using light therapy they were able to see a reduction in acne on the surface of the skin. Light therapy helped these patients on their way to getting clearer blemish-free skin. After going through the recommended amount of sessions in about 4-6 weeks after your treatment, you should be able to notice the difference in your complexion and find yourself with the clearer skin you’ve always dreamed of. 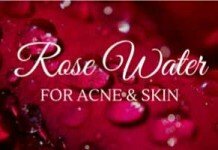 Most of these side effects only last 2-3 weeks, and your skin will return to normal. We really think if you’ve been struggling with acne for many years and you’re running out of treatment options, it is worth looking into blue light therapy. The therapy is super non-invasive and for many people has little to no side effects. The only reason we would suggest avoiding blue light therapy is if you’re sensitive to light, taking antibiotics, have cancer or are pregnant. If you’re a healthy individual; however who is sick of suffering from acne, light therapy could really help. What’s excellent about light therapy is that you can also be taking other supplements or medication to reduce your acne at the same time. This means that you’ll be on your way to clearer skin in no time!